Eucalyptus trees are found in subtropical regions all over the world and are one of the tallest and fasts growing trees. Most eucalyptus oil comes from the blue gum. The lemon eucalyptus produce oils that are relaxing and have a pleasant lemony scent. Eucalyptus essential oil is highly antiseptic and very inexpensive and the scent may uplift your spirit and clear your mind. 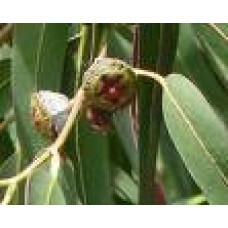 Eucalyptus Oil Uses: Aftershaves, colognes, mouthwashes, flu, colds, coughing, fever, herpes blisters.